DAVID LE/Staff photo. 3/7/15. 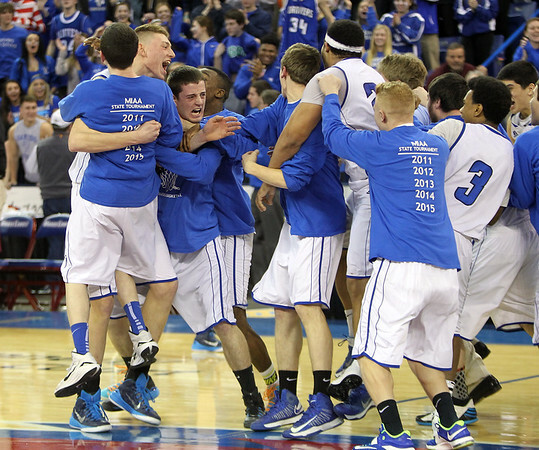 The Danvers Falcons storm the court after they defeated Arlington 50-47 to capture the D2 North Championship.